Bob is one of the acknowledged ‘fathers of modern knowledge management’, an undisputed pioneer of ‘knowledge sharing’ and the winner of numerous prestigious ’KM’ Awards and Accolades during the 1990s. From 1977-2000 he was the Chief Executive of Buckman Laboratories, a highly successful global player in the speciality chemicals markets, a period during which the company became renowned for its success in establishing effective knowledge sharing across its 1500+ workforce and its operations across over 80 countries around the world. Buckman Labs, which celebrated its 60th Anniversary in 2005, has itself won a veritable string of Awards including 8 prestigious ‘MAKE’ (Most Admired Knowledge Enterprise), three of these as acknowledged #1 knowledge sharing enterprise globally. 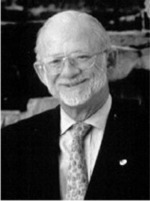 Other Awards won by Bob include the Knowledge Management Leadership Award from Business Intelligence in London (1996), the Arthur Andersen LLP 1996 Enterprise Award for Best Practices in the category of Knowledge Sharing in the Organization; and the 1997 Computerworld Smithsonian Award for visionary use of information technology. In 2000 Bob was named as one of the top ten Most Admired Knowledge Leaders for world-class knowledge contributions to his company and to the emerging New Economies. Today, Bob is President and Chairman of the Board of The Applied Knowledge Group, Inc., a professional services firm specializing in facilitating effective knowledge sharing within work organizations. He also serves as Chairman of the Board of the holding company, Tioga Holdings, Inc., based in Reston, Viriginia and as Chairman of the Executive Committee of the Board of Directors of Bulab Holdings, Inc, the ultimate holding company of Buckman Laboratories. Additionally, Bob is a Trustee of Rhodes College, Memphis, TN, and of Furman University, Greenville, SC. He also serves on the Board of Directors of the Institute of Paper Science and Technology, Atlanta, GA, and the American Productivity & Quality Center, Houston, TX. He holds a BSc in Chemical Engineering from Purdue University, and an MBA from the University of Chicago and an honorary Doctorate of Humane Letters from North Carolina State University. Bob is an internationally renowned expert and much-sought-after speaker on knowledge sharing and how to develop knowledge-based organizations. In 2004 he published “Building a Knowledge Driven Organization” (McGraw Hill, New York). Knowledge is not very productive unless it moves in response to an issue, a problem or an opportunity. Then, it can create magic. Our approach (to KM) is far more than stick or carrot. We say, "Knowledge Sharing is your job. Do it!" As a reward you may keep your job.